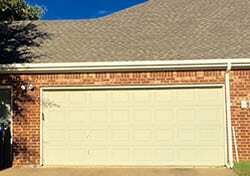 If you need garage door repair in Garland, you want someone with a great reputation that you can count on. At Action Garage Door, we have been serving Garland residents for over 30 years with their garage door repair, maintenance, and installation needs. 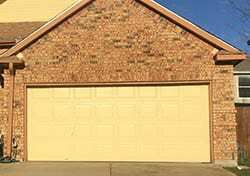 We only hire experienced garage door technicians who are able to provide fast and efficient service to our clients. 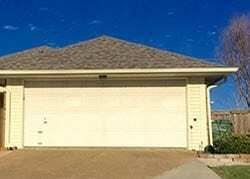 We understand how frustrating it is when you don’t have your garage in the best working order. Don’t worry we take care of all the permits and we comply with all local regulations. 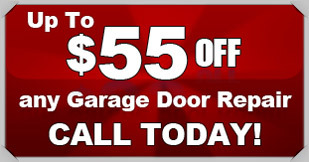 Call your one-stop garage door company, Action Garage Door. 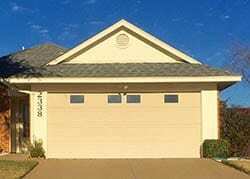 At Action Garage Door, we take pride in all our garage door services that we provide. Choose from a variety of services that include residential and commercial garage door installation, and garage door maintenance. 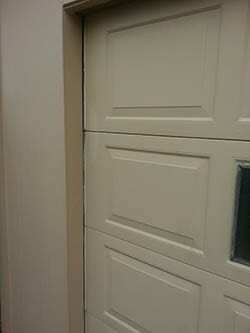 We also have the unique ability to build you a custom door for your home or business in Garland. We carry styles such as Carriage House garage doors, Olympus garage doors, Classica garage doors, Stratford garage doors, Heritage garage doors, and Amarr garage doors. No matter what you are looking for, we can get it for you and install it quickly. 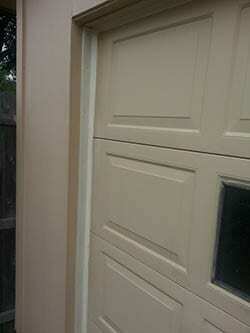 We know how troublesome it is to have a garage door that you can’t count on to open properly or close securely. 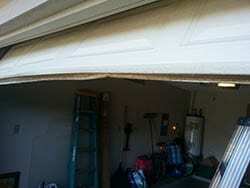 Action Garage Door Repair technicians can alleviate your concern in that regard. With a specially trained and vetted service team available and on call for emergency service 24 hours a day, we can be there within an hour if necessary. We can also work with you to schedule priority service at times that fit into your schedule. We have been in business in major Texas cities for more than 30 years and have worked hard to earn the trust of our customers by exceeding expectations in every way. Whether you have a squeaky door that simply needs minor adjustments or an aging door that is due for replacement, we will offer our best advice as well as our best price. We stand behind our work and can also advise you on best options for both residential and commercial garage doors. Wherever you live in Garland, we have a location nearby to bring you the help you need; we stock many parts on our service vehicles, and we service all brands of garage doors and openers. Let us know how we can serve you better! 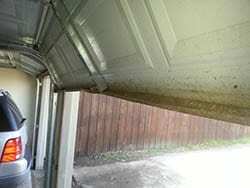 If you are in need of a garage door repair, installation, or regular maintenance, contact Action Garage Door in Garland at (877) 392-2590 and we would be more than happy to assist you with your garage door needs. 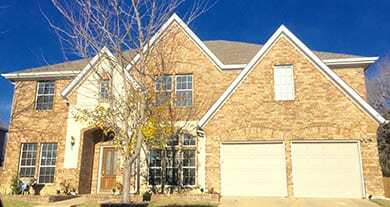 As one of CNN and Money Magazine’s “Top 100 Places to Live,” Garland, TX offers an incredibly high quality of life. As of 2015, it was listed as one of the best mid-sized cities in which First-Time Home Buyers could purchase a home. It’s also been called the “Best Run City in America.” With all of this working for it, it’s not surprising that it has a booming economy. Major employers in the area include Wal-Mart Super Centers, General Dynamics OTS, Atlas Copco, L3 Communication, and the City of Garland itself. Garland, TX is now home to thousands of thriving small and mid-sized businesses. Garland is a large suburban municipality situated in the northwest quadrant of Dallas County. 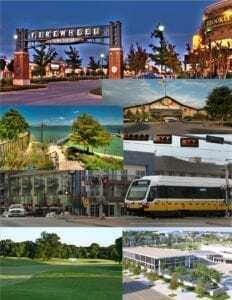 With almost a quarter of a million people, it is one of the larger suburbs of Dallas, but has earned numerous honors over the years, distinguishing it from its neighbors as one of the Top 100 Places to Live in the Nation, and then the 6th best place in the country for working parents (2014), as well as the 7th best place to save money. The city also ranks well on listings of good places to get a job, to raise a family, for first-time home buyers and best run cities. That’s a lot of honors for the second largest city in the county! Garland was officially formed in 1891, but it had existed as a community around the Santa Fe Railroad depot since the mid-1850s. Today, it continues its tradition of access to rail transportation, with two lines of Dallas Area Rapid Transit (DART) and frequent buses available to transport residents to and from downtown Dallas, approximately 20 miles away. The median price of homes in Garland is $185,000, a figure lower than Dallas and most adjacent suburbs. 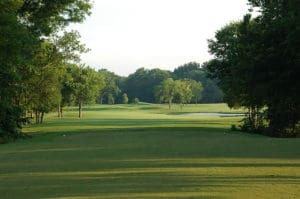 Many of the city’s neighborhoods contain smaller homes dating to the middle of the last century, but there are also gated developments as well as golf course communities with larger homes and new construction. 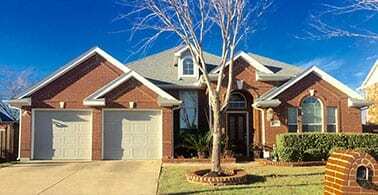 Part of the city is located on the eastern shore of Lake Ray Hubbard, a popular fishing and boating lake, and there is a desirable subdivision with lake frontage and water views. Schools are unique in this city, with eight campuses achieving National Blue Ribbon status a total of 13 times. The Garland Independent School District, which also enrolls students from the adjacent cities of Sachse and Rowlett, has no designated attendance zones. Parents choose schools for their children based on convenience, curriculum specialties, and personal objectives. There are magnet and alternative programs at all grade levels. One of the high schools offers the international baccalaureate degree, and another is well known for its vocational cosmetology program. Garland is justifiably proud of its Granville Arts Center that includes two proscenium theaters capable of seating 720 and 200 people. Another stage, the Plaza Theatre, seats 350 patrons. There is also a ballroom with two glass walls that open to a landscaped outdoor courtyard. Community events are held at the complex, which is also available for private rental for banquets, trade shows, and corporate events. A special feature is the Nickelrama Arcade. The 1901 Santa Fe depot houses the Garland Landmark Museum that chronicles the city’s history from 1850 to the present. The city has undertaken a major restoration of its historic downtown area, and a new mixed-use development is underway, oriented for a future of increased mass transit use. The school district and the city constitute the major employers, but there are numerous food service businesses, including Kraft Foods, US Food Service, El Rancho Supermarket and Nutri Biotech. Baylor Medical Center is a major employer, and Sherwin Williams, Ecotech, Valspar, General Dynamics, SilverLine Window, and Massimo Motor also maintain a large presence in the city. A great experience. Have used this company for a number of years without any complaints. Jose did a quick quality job.